Experience the perfect tropical vacation on a yacht charter on of the multiple unique islands that make up the Bahamas. This is a three season destination — spring, summer and fall. Winter can be cold when those northers blow — 50F is too cold for swimming! There are luxury yachts, and then there is the Unbridled. This 116ft yacht epitomizes luxury and comfort, with massive staterooms, a contemporary interior, a grand main salon, and an extensive media center controlled by iPads. There is always something to do aboard Unbridled, whether it be relaxing in the Jacuzzi, making use of its extensive array of water toys, or taking out the 26 foot Chris Craft tender boat for a cruise. Go scuba diving in a variety of locations. Many crews have a dive master or instructor that is certified to take you to explore the gorgeous coral reefs. If diving is not your style visit Pig Beach and take a dip in the shallows with the swimming pigs. 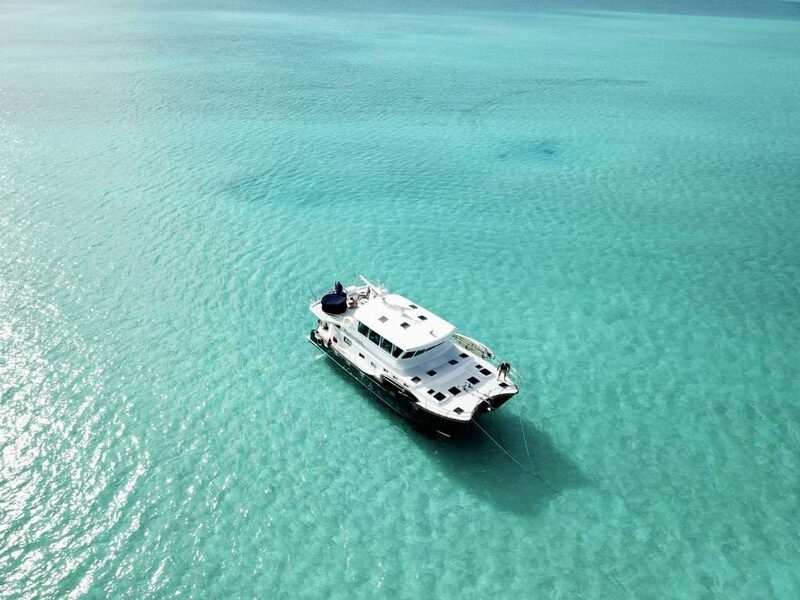 Explore the Bahamas aboard the very stable, custom-designed Giovannino! Designed by Ted Hood, this yacht can accommodate up to 6 guests in a master, VIP, and twin bed cabin. Enjoy activities like staying in Euxuma National Park, or cruise from Nassau to enjoy fishing and water sports. The distance from Florida to the Bahamas is not too great for yachts to travel, but crossing the Gulfstream where the current goes against the prevailing winds can be extremely uncomfortable. Start in Nassau and see the Exumas or travel to the Abacos for a very away-from-it-all experience. Turks and Caicos is another possibility for fishing, diving, and snorkeling. The Bahamas is often a base for large motor yachts from March through June with wonderful fishing and scuba diving. 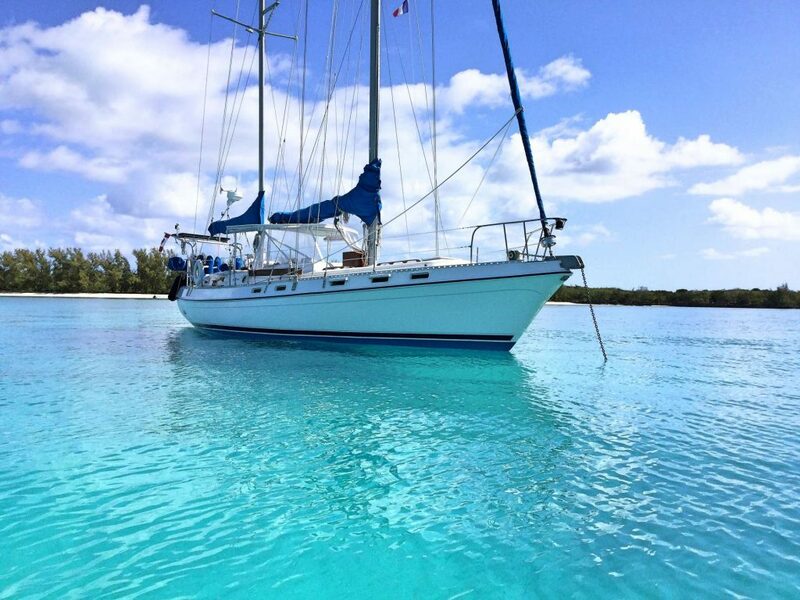 The 50ft Zephyrus sailing yacht is available out of the Florida Keys for charters in the Keys, the Abacos and CUBA! That’s right, Zephyrus is legal with both USA and Cuba to bring in charter guests. All charters will start in Key West, Florida, sail to Cuba, and return to Key West. Zephyrus will sail overnight to Cuba. You have the choice of sleeping through the sail knowing that your professional crew are at the helm or join them in a watch. 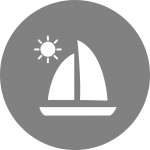 For the true sailor Zephyrus offers sailing charters out of the Florida Keys and the Abacos Islands of the Bahamas. 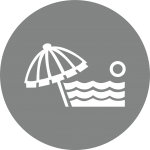 The crew know the area well and can design an itinerary to suit their guests desires. Ready to buy a large yacht? Many yachts will be based in the Bahamas if they are actively for sale. Plan a ‘try before you buy’ charter to see if that dream boats meets expectations. Dream Ketcher is probably one of the best priced yachts to charter in the Abacos (part of the Bahamas). The crew knows the area well and are avid divers. If you are looking to get off the beaten path and do some real exploring, let Captain Eric and Mate/Chef Nathalie sail you away. This monohull sailing yacht is perfect for a couple or family of 4 with 2 guests in the double aft cabin with private head/shower.